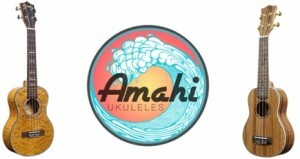 Amahi Ukuleles is a child of the parent company Amati’s Fine Instruments. Amati’s Fine Instruments has been producing high quality orchestral string instruments for 25 years. A few years ago, the decision was made to begin designing and producing high quality ukuleles that are as attractive to the eye as to the ear. Amahi’s approach to ukulele design is similar to how Amati’s approach violin design. Each ukulele starts as a project of how to optimize the overall tonal and intonational properties as well as visual appeal and playability. Each design begins with first selecting the wood for its tonal properties and beauty. Binding is then selected for its function and improvement in the overall look of the ukulele. The fretboards on our intermediate and advanced ukulele lines are bound the same way a guitar fretboard is bound. This provides an overall wider fretboard which is more comfortable for hands of all sizes. Our finest craftspeople professionally setup and adjust our ukuleles in Cincinnati prior to supplying our customers throughout North America. 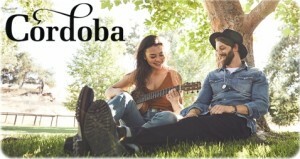 Amahi produces a complete range of ukuleles, from entry level soprano ukuleles with decorative designs to beautiful high-end ukuleles for professional musicians. ENGLAND – A unique and patented flexible contact microphone product designed for use in sound reinforcement and recording of acoustic musical instruments. Available in “strips” (tapes) of 3” and 8”, this capacitive transducer system installs on the resonating soundboard of most instruments and “hears” the mechanical vibration emanating from the surface. Widely used in sound reinforcement because of its low feedback, C-Ducer is particularly well known for its stereo piano system and its acoustic guitar system. Córdoba seeks to guide the evolution of the nylon string guitar, blending traditional craftsmanship of the early master luthiers with modern developments. Every Córdoba is lightweight, responsive, and a direct descendant of the Spanish tradition. Córdoba guitars are designed in the Spanish tradition — resonant, lightweight and handmade. Varying from 1/4 to full size and with many color, tone wood, style and cutaway/electric options, your dream nylon string guitar is just a click away. Cordoba also manufactures Ukuleles, these small four-stringed instruments with a joyful sound. Expertly crafted from premium materials for comfortable playability and beautiful tone. Have a look at their wide variety of tonewoods and sizes to find your perfect match. Based in New York, D’Angelico designs and manufactures a complete family of guitars and basses unique and acclaimed. With over 80 years of experience and countless endorsements of renowned artists, D’Angelico guitars are works of functional art. The contemporary jazz guitarists and aficionados D’Angelico guitars count among the finest instruments in history. These models offer as much of these refinements that these iconic models of the 40s, 50s and 60’s with a modern flair. 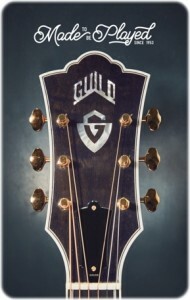 Guild is a historic guitar manufacturer that continues its long-standing reputation of iconic acoustic, electric, and bass guitars. From the New York jazz scene in the 1950s, to Richie Havens’ legendary performance at Woodstock, to Seattle’s Kim Thayil of Soundgarden, Guild guitars helped create some of the greatest music in history. With a tradition built on old world craftsmanship, quality, and value, Guild guitars have and will always be Made to Be Played. No matter what era your guitar comes from or how many hands have played it, you can trust that your Guild is up for any challenge you throw its way. Guild is proud of who they are and where they have come from; they vow to honour the classic Guild sound, feel and design. Guilds diehard following is part of what makes Guild so unique. Guild pledges to provide Guild owners, artists, dealers, and enthusiasts with the fantastic instruments and support you deserve. 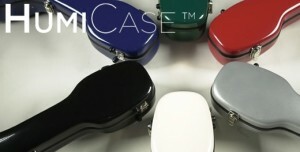 PROTECT YOUR GUITAR WITH HUMICASE. Your guitar is a living, breathing entity that is easily affected by its surrounding environment. Although woods are carefully dried and seasoned, they still breathe, expand and contract with weather and humidity changes. Ensure that your guitar stays intact by storing it in a humidity-controlled environment. If properly maintained, the HumiCase built-in climatic control system will protect your guitar’s playability and beauty for years to come. Each HumiCase comes with custom-designed HumiPods that only require distilled water to activate. When used properly, these pods will uphold a consistent and safe humidity level for your instrument. HUMICASES ARE: Lightweight, Available in Classical/Flamenco Dreadnought Sizes, Available in a variety of colors, Durable, locking chrome latches, Deluxe plush crushed velvet interior. After starting out over 30 years ago, Palmer Germany has established itself on an international scale as one of the best known secrets of the music and audio industry. When local musicians need repairs by qualified technicians, customised modifications to their instruments and amplifiers or special “little helpers” that are not available from any other manufacturers, Palmer is their first port of call. By cooperating closely with people in the field, Palmer gained a valuable insight into what musicians and audio technicians really value — the best sound quality, reliable functionality and precision down to the very last detail. 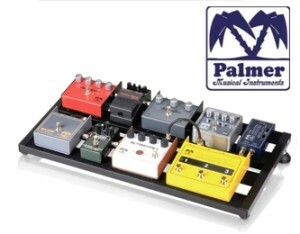 With this in mind, Palmer started producing the products that have helped to establish the Palmer brand in Germany and worldwide, and it is these products that are used by leading musicians and technicians in the studio and on stage. Source Audio was founded in 2005 by former executives of Analog Devices, Inc., Thomas H. Lee Partners, and Kurzweil. Their mission is to bring innovation to the audio effects world through the application of cutting edge sensor, networking and signal processing technology. In 2006, Source Audio released its flagship product, the Hot Hand Motion-Sensing Ring. Since that time, Source Audio’s delay, reverb, distortion, filter, modulation, equalization, and Hot Hand products have found their way onto the stages and recordings of David Gilmour, U2, David Bowie, John Mayer, Aerosmith, Phish, King Crimson, My Morning Jacket, The Cure, and Victor Wooten to name a few. 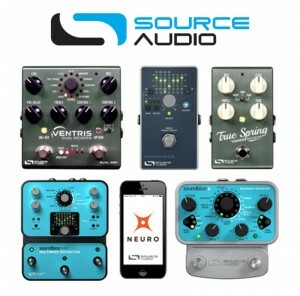 Source Audio was also recognized through multiple product and innovation awards from Premier Guitar, Guitar Player, Sound On Sound, Guitar World, Bass Player, and Electronic Musician Magazines.